For those who love their iPads but miss the warm, muted sounds of a 78rpm phonograph, feast your eyes on the iVictrola iPad dock. 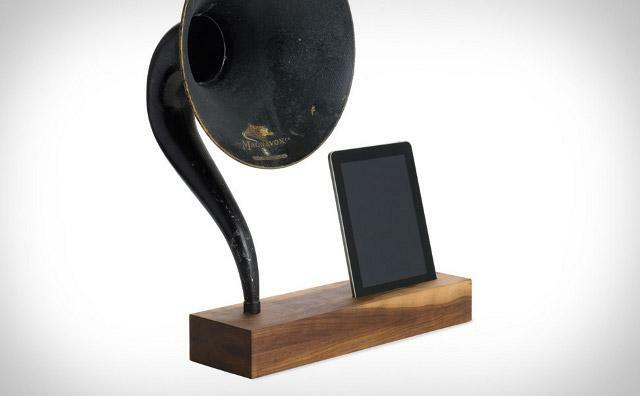 A successor to the iVictrola iPhone dock a few years ago, this acoustic amplifier uses the speaker outputs of your iPad and an antique Magnavox phonograph radio horn to playback anything from Bix Beiderbecke to Lady Gaga – no electricity required. 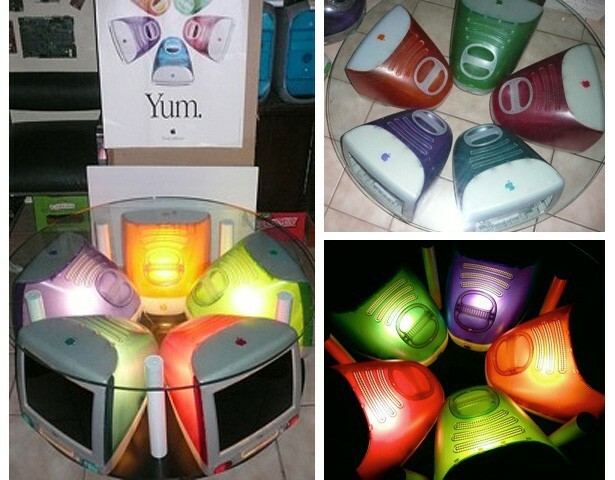 In the last few years a kind of cat and mouse game has evolved between Apple Legal and some of the more daring (and creative) members of the Cult of Apple: tempting fate by selling Steve Jobs collectibles, and risking the wrath of Apple. How long before your Cease & Desist letter arrives? 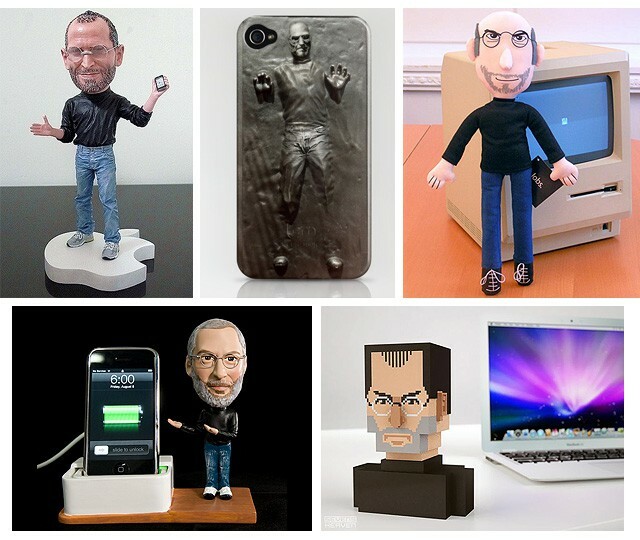 Here are some of the more popular items created in the past few years. 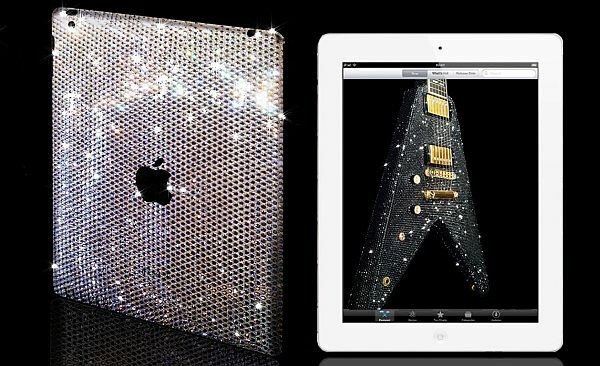 For those who like to add sparkle to their bling – and can afford to spend as much on their iPad case as on the iDevice itself – CrystalRoc has announced their Swarovski iPad 2 case. Featuring over 4,000 Xilion cut crystals this ultra-chic piece of loungeware will set you back $700, and is shipping immediately. Why wait for ostrich leather? Not recommended for use on subways or in urban areas at night. Many people have seen the 1984 SuperBowl commercial introducing the Macintosh to the masses. In the fall of 1983, Jobs gave a preview of this spot to an enthusiastic crowd of Apple shareholders and insiders. 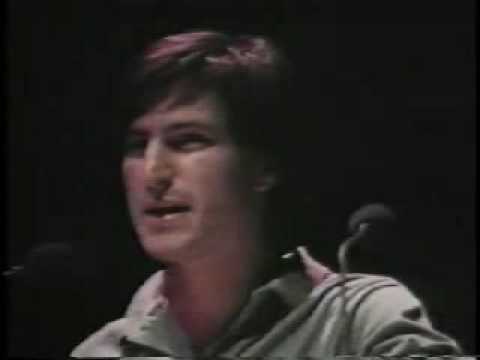 With full Reality Distortion Field in place, a young, passionate Steve Jobs describes the history of computing, IBM’s missed opportunities, and their current threats to Apple and the computing industry. Happy Birthday, Steve – you haven’t lost your touch! Apple SuperNerds will notice a few soundtrack differences between this preview and the commercial that actually aired – can you spot them? 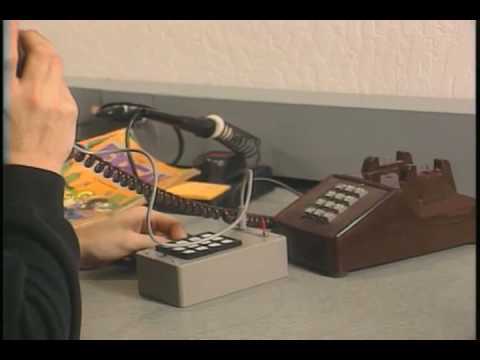 Before the Mac, before the Apple II, Steve Jobs and Steve Wozniak made their first product: a digital Blue Box for hacking into telephone systems. 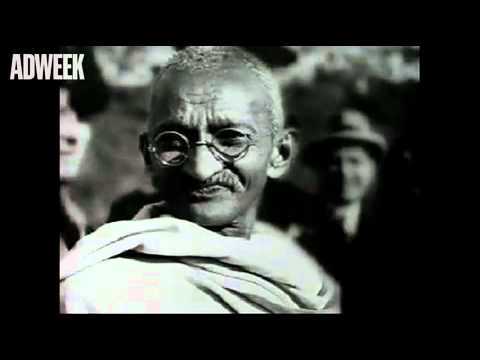 In this clip from the 1998 documentary Silicon Valley: A 100 Year Renaissance, Jobs describes how the capability of this device so impressed two young teenagers that they began to realize the power of ideas and the potential of technology to control vast amounts of information. If we hadn’t made blue boxes, there would have been no Apple. They also realized the importance of good product packaging – nice wooden shipping case! Where do you characterize the iPad and iPhone in the music making process? They can be your instruments, recording console, video edit system, and playback devices all in one. With new tools comes new talent, taking advantage of what progress has to offer. The Age of the iDevice in Music has only just begun. Korean musician Yoari and an all-iDevice band performed this cover of Beyonce’s Sweet Dream in June 2010. The apps used in the piece are noted during the performance – a nice touch. And not a bad jam! What’s past is present, at least in the Vintage Tech World. 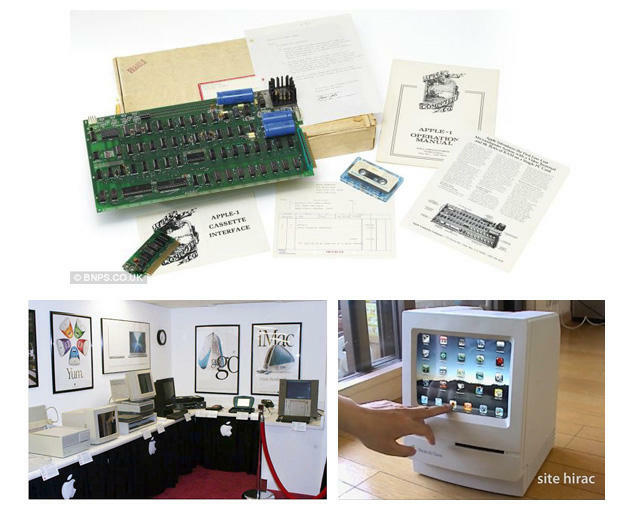 2010 saw some significant stories involving those attic treasures: an Apple 1 sold for a whopping $213,000, a Mac Museum for $10k, and an Apple II Festival turned 21. Meanwhile iPads were spotted co-habitating inside old Macs, obsolete status befell our PowerPC friends, and The Macintosh Way lived again. Travel back in time for this review of the Year in Vintage Apple News.